There are over 350 varieties of Aloe Vera in the world and the true aloe is the variety called Aloe Barbadensis Miller. This is the most powerful of all the aloe varieties because of its medicinal properties. It looks like a cactus but is a succulent and a member of the lily family and is related to onions, garlic and asparagus. Aloes originated in Africa, but they have spread across the world where they have found sunny, dry places to grow in. Frost is aloe's worst enemy. Although you may be able to grow an Aloe plant in your home, it will not have the same potency as that grown in right climate and conditions. It is often called the 'miracle' plant or the 'natural healer'. Inside the leaf there is a wonderful cocktail of nutrients - vitamins, minerals, amino acids, enzymes, sugars, sterols & salicylic acid. These are things our body needs on a daily basis. We are all living longer and therefore there is a need to look after our health rather than wait for things to go wrong and hope that medical science can come up with some magic potion. People are now looking at traditional or natural therapies because of the side effects of modern medicine. It therefore reinforces the need for a long-term approach. Nutrients contained in the succulent gel inside the leaf and are mixed as nature intended to work, ie, it is not mixed together by someone in a lab. Our bodies are under constant stress from diet and environmental pollution. A poor diet cannot produce a fit and healthy body. Incidentally, Tequilla comes from Aloe Vera! Aloe has a fascinating history. Its use goes back thousands of years. 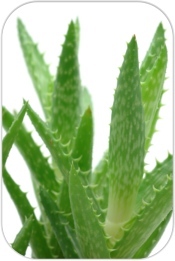 The earliest record was on a Sumerian clay tablet in 2100 BC and it recorded that aloe had medicinal properties. The earliest detailed account was on Egyptian Papyrus in 1500 BC which can now be found in Leipzig University, Germany. It stated that it could be used for internal and external disorders. The Egyptians called it the "Plant of Immortality" and Cleopatra and Nefertiti reputedly used it on their skin to protect it from the sun's rays. Pharoahs were buried with all sorts of things in their tombs for their ensuing journey including money, personal possessions, food and aloe vera used to be put in as the medicine for the after-life! The Arabs called it "Desert Lily" and they used to remove the gel using their feet and store and transport it in goat skin bags, but sadly there wasn't much goodness left when it arrived in some parts of the world. However, they must have had soft feet! Alexander the Great obtained supplies of aloe vera to treat his soldiers' wounds and get them back on the battlefields. There was a fascinating TV programme about him and he used to take his doctors and physicians with him to operate and they talked about many healing plants and herbs that they used to heal wounds with after surgery. The Hindus called it the "Silent Healer". The Chinese doctors called it the "Harmonic Remedy". Christopher Columbus called it "Doctor in a Pot" and took it on his voyages. A famous quote by him was: "There are four vegetables indispensable to man: Wheat, Olive, Grape and Aloe. The first feeds him, the second brings him harmony, the third raises his spirits and the fourth cures him." As time went by, lots of natural products were ignored in favour of modern medicine and science. People got quick results which was what they wanted. They got cured and were happy. Aloe wasn't easily transported. It starts to oxidise when exposed to air, but back in the 1950's a method of stabilising the gel was created. This gave it a life and there is only one company in the world which has the patents for this process. Suddenly there was more documentation about the effects of using aloe vera. Ghandi, when asked how come he looked so healthy and had lots of energy during his fasting said: "It's my unshakable faith in God, my simple and frugal lifestyle and aloe vera which I discovered on my trip to South Africa and which I drink everyday for energy." Aloe was also used extensively to treat people's wounds after the Oklahoma City bombing and during both the GUlf and Iraq wars, particularly as a blood replacement. Lots of research has been done by Dr Peter Atherton, who completed a 2-year study of aloe vera at Green College, Oxford, which was part-funded by the NHS. He is the author of 3 books on Aloe vera. He said he had never come across a plant with so many nicknames across history and different cultures. Names like the Burn plant, Nature's medicine chest, wand of heaven, miracle plant, potted physician and many more. Clinical trials have been done on ulcerative colitis at Royal London and John Radcliffe hospitals, on irritable bowel syndrome at the Morriston Hospital in Wales. Clinical trials on Various acute skin conditions have also been carried out at Great Ormond Street Hospital. Researchers in Spain have developed a gel from Aloe Vera to provide a coating to prolong the quality and safety of fresh produce. It's safe, natural and environmentally friendly. There is also a remarkable aloe vera based drink that is being clinically trialled for the treatment of osteo-arthritis. Aloe is also used extensively with animals and in fact the first Veterinary College was established in London in 1791 with a Royal Charter being granted in 1844 forming the Royal College of Veterinary Surgeons and a coat of arms was produced. The coat of arms shows a centaur holding a shield on which there is an aloe plant. Aloe was used extensively in the 18th and 19th centuries particular on horses and farm animals. A similar thing has happened with animals as has happened with humans in that modern drugs came onto the scene offering a quick fix. Today, natural remedies have become popular as side effects with drugs have become apparent. I have many animal customers, particularly dogs and horses and my own dogs are my best testimonials. For more information on the product range or to make a purchase, click here.